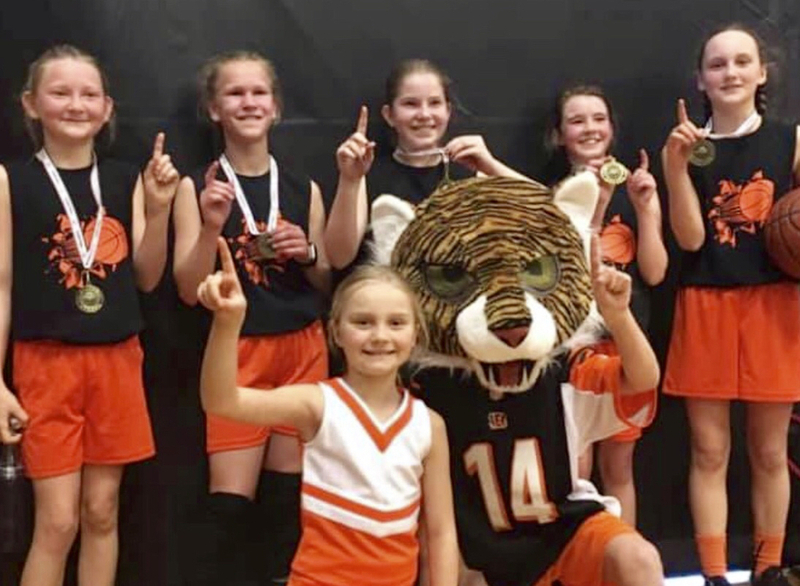 Some of our fifth grade girls won their division at the Optimist Tournament in Dickinson during the weekend! They beat Killdeer, Glendive, and Bismarck. Chelbie, Kallie, L’Kia, Carly, and Emma are pictured from left to right. They were cheered on by Leighton and Jack.